Does anyone else experienced a shudder when the C7 shifts from overdrive to passing gear? It is a very hard shudder that makes such a hesitation or shudder that the passenger can feel it. It does not shudder every time but about 80 percent of the time. We went to the Tail of the Dragon this past weekend and it shudders every time while ongoing threw the mountains under all driving conditions. It also does not matter what position my driving dial is positioned in. Any one else with this bug? We are going to need more info to possible help here. A6 or A8, full auto mode only or also when you shift manually? I'm thinking it's more along the lines of the V4 to V8 transition but there is a TSB on the A8 for something similar, we just need more info from the OP. Good point. Could very well be, and that could be corrected in the tune. I don't believe it will be a TCC (torque converter clutch) shudder. On kickdown the TCC will release if it was applied. TCC shudders typically occur on application, not release. UPDATE...GM sent a program to the dealership here called Maxie Price Chevrolet in Loganville, GA. The mechanic drove it with a laptop hooked up. It showed the problem as the Torque Converter and a module malfunction. So, I am at a dilemma here. We do not want a NEW C7 that has been taken half apart and spread out on a dealership floor. This may sound bad, but my $73 K was spent on a new car. This car has had this problem since we drove it off the lot. We will see how GM treats us. I have owned many Corvettes and will continue to have a few around so I am really counting on some good common sense treatment. I will keep everyone posted. We're sorry to hear that you're experiencing a concern with your 'vette! Please keep us updated on how your visit goes, and let us know if there are any questions we can look into. I would not be the least bit concerned about the repair. They wont do anything to diminish value with the repair, in fact just the opposite. As issues pop up and become known that did not, or could not in the testing phase, the fix is generally superior to how the car came from the factory, and it becomes a non-issue in the future if the fix is correct. These are not $250,000 to $1 mil and up hand built supercars, (even though they perform in all areas as well or better than many) these are still a production car with a bargain price tag. Let the dealer do the fix, and report back on the results. If it is successful you will have a car better than another one that may have this issue and need it addressed as well. You will also provide other owners here with valuable info on an issue I have not been aware of until yours, but may rear it's head for others. If you give them ample opportunity to correct an issue and they fail, and or treat you badly, then that would be grounds to demand more for sure. Good luck and let us all know how it turns out! Cheers! I must say it is very comforting to see Chevy Customer Care is watching this site for issues and is doing everything proactively possible to keep us Vette owners happy. Keep up the good work. Tuner Boost, Vanpounds1 and krauty like this. I am back to keep everyone informed on the Transmission shudder. 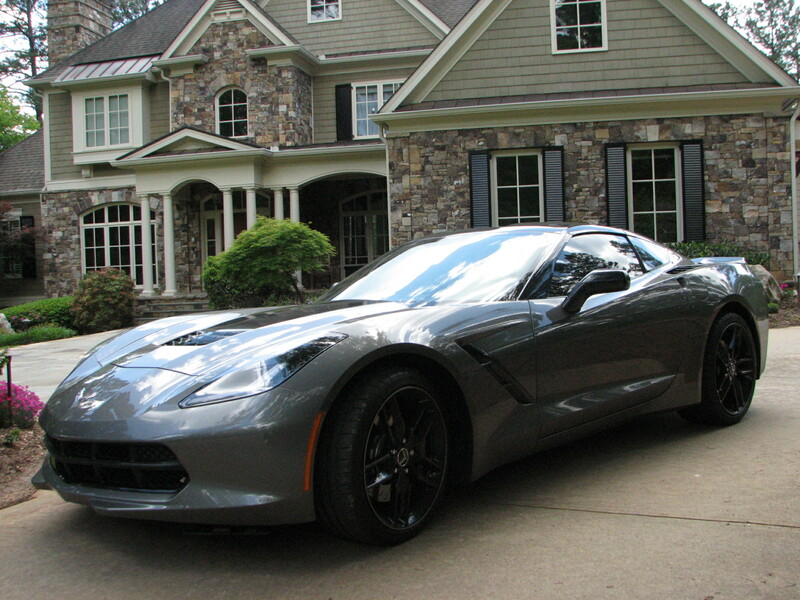 We have had an experience with GM and Maxie Price Chevrolet in Loganville, GA. that we could only wish for. The service technician and GM came to the conclusion that the Torque converter and a transmission module needed to be replaced. The next day they decided that it was best to change the transmission and not just the converter. At this point Raleigh and I did not want the car anymore. We negotiated some trade assistance from GM to help us get a new Corvette. First I would like to say that Scott Price at Maxie Price Chevrolet bent over backwards to get us into a new car. 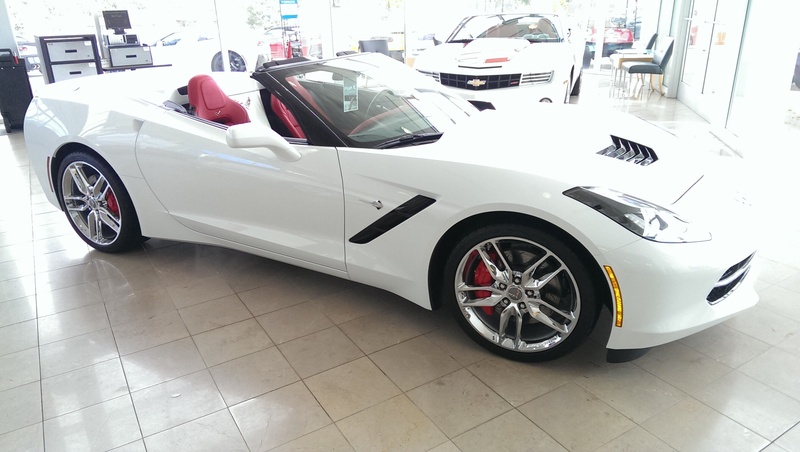 Maxie Price had a 2014 Article White 3LT Z51 convertible with Adrenaline red interior and magnetic suspension ride control sitting on the showroom floor. Scott Price help us get into this at an unbelievable price. The car is SWEET...we love it...If you want a new Corvette or any other new vehicle, we will highly recommend Maxie Price Chevrolet. Last edited by Vanpounds1; 11-28-2014 at 06:44 PM. whchoc1 and V Vette like this. Now this is where people need to shop for their cars!!! The truly good dealers need our business, and they actually have techs that understand!! Good to here. Vanpounds1 and whchoc1 like this. Glad to read that you are pleased with your new Z51 Vert and how well the dealer and GM treated you. I know your last post is over 2 years old but I would like to know if you had any problems with the new 2014 you purchased to replace the one with the shudder issues? I bought a new 2016 Stingray that started having the shudder. The torque converter was replaced 3 weeks ago and now it is doing the same thing again. There is some other procedure the service department is going to do next week that is supposed to fix the issue but we will see what happens. I feel the same way you do about having a new car that has been torn apart for repair twice now. If you don't mind me asking, how did GM help you negotiate on a new one? I loved the car initially but now it is frustrating to drive with the constant shudder.